Anytime I see a product or ingredient touted as having the power to improve sleep, I’m on it quicker than you can say “goodnight.” I’m featuring a few ingredients in this recipe that do just that. I’ve subtitled this recipe “sleepy-time cake” even though it can be useful for those dealing with anxiety. There is sweetener in this recipe but it has a lower GI (glycemic index) than many (I’ll get to it in a moment). So if staying away from all sugar sources is your mandate, steer clear of this treat. However, if you’re allowing yourself a bit and also want to enjoy a delicious night-time snack, then this is for you. Onward and upward…let’s get going with the Green Banana Coconut Cake. Ever since I discovered that resistant starches are beneficial to those who have difficulty sleeping, I’ve been a ravenous researcher hunting down information, citations and sources of this seemingly magical substance (there are worse obsessions). Funny, but that substance has been in my kitchen for quite some time. I’m not sure what prompted me to buy green banana flour (maybe I was looking for grain-free flour) but amazon.ca snatched my money yet again and this phenomenal nutritional product has been sitting in my cupboard…waiting. Waiting until the day I discovered one of its remarkable properties–resistant starch. Anyway, it turns out green banana flour as well as cooled boiled potatoes and cooled white rice have an abundance of it. Resistant starch assists in getting better sleep too! Besides helping to balance the blood sugar, resistant starch or prebiotics were shown to help rats have better non-REM sleep (resorative sleep) than those who did not ingest it in a 2017 study. (4) It also helps to buffer the effects of stress as shown in the same study. The next ingredient I’m showcasing in this recipe, in what I refer to as my sleepy time cake, is coconut syrup. I’m always trying to refine my muffins or loaves to be the healthiest they can be. If I must use a sweetener, then what will not raise the blood sugar quickly. In other words, what sweetener has a low glycemic index without being synthetic or harmful. We are talking sweeteners here, so obviously they will not be adored by the body as much as healthy proteins, fats and fiber but there are a few that don’t wage that much war on insulin receptors. And one of those sweet delights comes directly from nature in the form of coconut tree sap. This nutrient-abundant sap exudes from the blossoms before they mature into coconuts. Known by other names such as coconut syrup or coconut palm sugar, this sweetener has a glycemic index of 35 which is similar to an apple. It is about half the glycemic index of table sugar which comes in at 70. Another ingredient to take its place of honor today is almond flour. Earlier I spoke of the research backing up RS’s benefits in those having difficulty sleeping and almond flour is another food with nutritive properties that set the stage for a sounder sleep by keeping the blood sugar balanced. If your blood sugar drops during the night, you may jolt awake as your adrenal glands secrete cortisol keeping you alert. Almonds, full of healthy fat and fiber help to keep the blood sugar stable but they also contain tryptophan which converts to serotonin, the feel good chemical, and eventually melatonin, the sleepy time chemical. 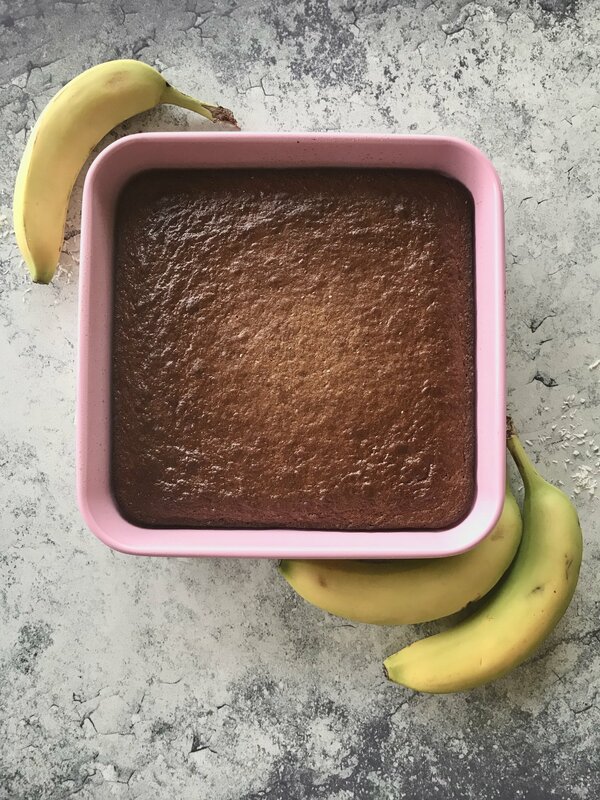 Green banana flour is a unique grain-free option with the added benefit of having superbly nutritional resistant starch that helps to keep you satisfied for a long time. It also balances blood sugar levels. Step 9 Serve with love and enjoy! Barthelemy, Jane. Good Morning Paleo: More than 150 Easy Favorites to Start Your Day, Gluten- and Grain-free. Boston, MA: Da Capo Lifelong, a Member of the Perseus Books Group, 2014. Hi there! I'm Suzy and I am a lover of food. Not just any kind of food. Food that nourishes the body, mind and soul. For me, food has to serve a purpose other than just tasting good. It has to make us better people by maintaining our health or helping to heal us in some way. The only way that can happen is with fresh, whole, real food--not the processed kind that lines the grocery store shelves. Even supposed "healthy food" might have some questionable ingredients that don't move us forward toward better health. So I invite you to come along on a journey where we get back into the kitchen to where health begins.